I am so excited to announce that we are having another baby! 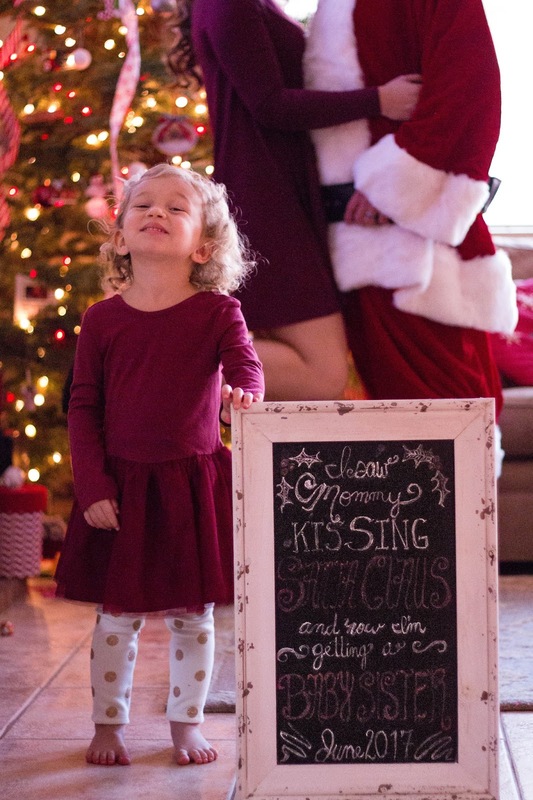 We decided to start trying for another baby this past August. For me, this was not something to take lightly, and it was a decision I approached with nervousness and dread. After experiencing a devastating loss and then a long process to conceive our daughter, I was not looking forward to trying for another baby. Not to mention, I honestly had prepared to need fertility treatments again as we had with Henley. I was dreading another month (after month, after month) of seeing negative pregnancy tests again this time around. At the same time, I knew in my heart it was time for another baby, and Henley was praying for a baby sister every night for weeks. So, I did my best to "try without trying" and keep my mind off of it. A week before Halloween, I was feeling less than awesome, and while I didn't expect to see a positive test, I was beyond shocked and overjoyed when I saw it! When Henley woke up from her nap, I put her in a shirt that I had bought that said "Big Sister" and had her tell my hubby. We were all so happy and so thankful that God answered our prayers, and much sooner than either of us had expected! The day we found out! Thrilled to be a Big Sister! I am now almost 17 weeks along (almost halfway, what?!) with our second little girl! Doing great and still a little in shock that this is really happening! 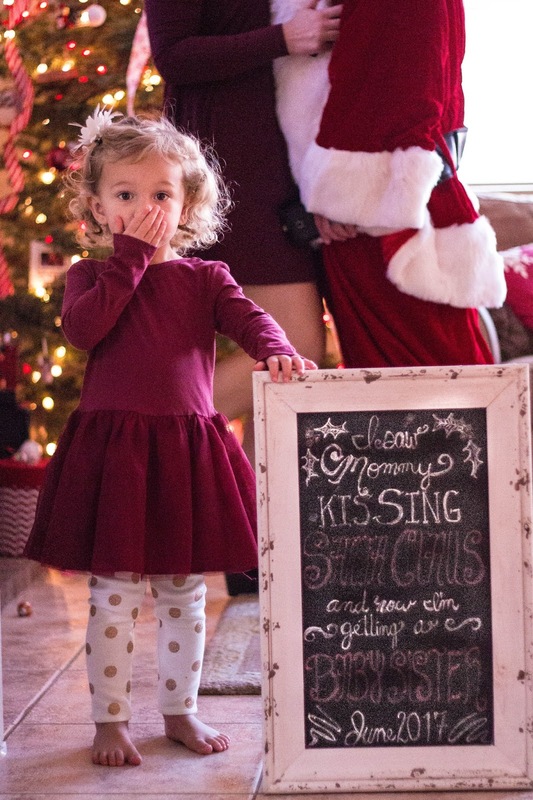 We announced our great news to everyone the week of Christmas, when I hit my second trimester. Can't wait to share more with you as this pregnancy goes on!